Because moving forward is the bottom line. throughout the tri-county area, succeeds by addressing and meeting the broad needs of our clients and the community. ATD’s clients, which include local businesses, law firms, large corporations and insurers, families, municipalities, and other select customer groups, have come to expect the highly personal and professional manner in which ATD delivers its services. 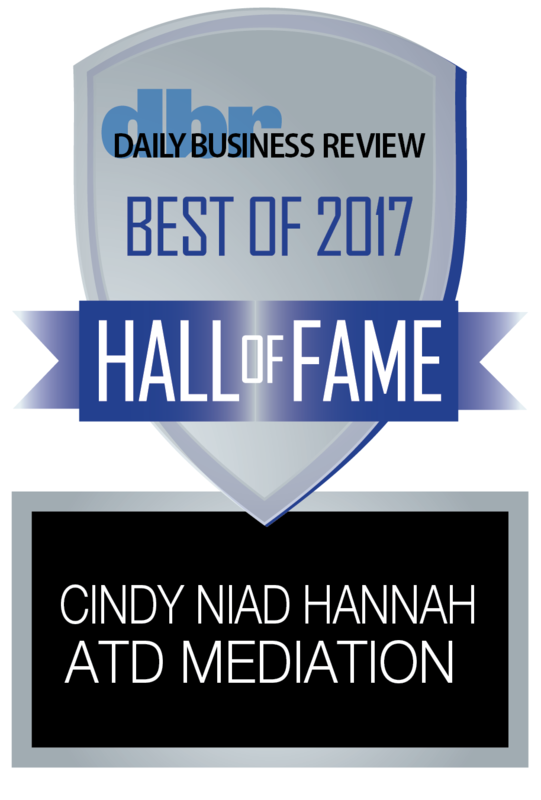 In 2015, the President and CEO of ATD Mediation, Cindy Hannah, Esq., was profiled by Fortune Magazine for being selected as one of the Leading Women Lawyers by Martindale Hubbell and ALM Media. 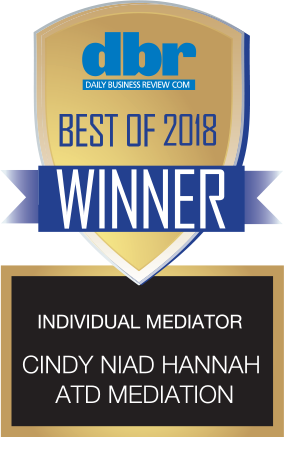 ATD’s Florida Supreme Court-certified mediators and arbitrators have been involved in over 10,000 mediation and arbitration cases in the course of their diverse legal and business careers. We offer multilingual mediation and arbitration services for Spanish, Hebrew and Portuguese speaking parties. Cindy Niad Hannah, President and CEO of ATD Mediation and Arbitration, has successfully mediated in excess of 6,500 State and Federal Court cases since becoming certified in 1993, and has personally hand-picked and provided one-on-one advanced mediation training to all the Florida Supreme Court-certified mediators on ATD’s impressive panel. ATD has taken a unique approach to continuing mediator education. In addition to the continuing education requirements required by the Florida Supreme Court, ATD’s mediators are required to regularly observe and co-mediate with one another. This enables them to get immediate critical peer feedback and affords them regular exposure to different mediation styles and techniques. 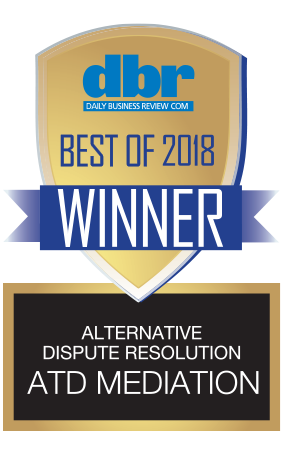 As a result, ATD’s mediators are proactive, knowledgeable, efficient, and are widely regarded in the local legal community as a group that consistently settles cases. ATD’s Scheduling Department consistently comes up with the highest marks from our clients. Our Scheduling Department’s goal is to make life as easy as possible for ATD’s clients by staying on top of every case’s status with an always upbeat and friendly demeanor. 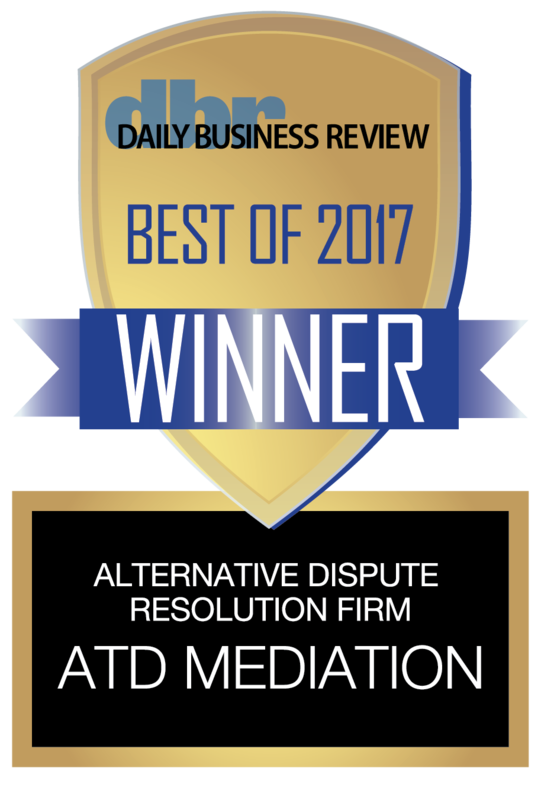 ATD Mediation handles all the details from coordinating and noticing a matter for mediation, to preparing, mailing, and e-filing all necessary papers to the parties and the courts. As an added service, we also provide reminders and confirmation, thereby allowing our clients’ office staff to attend to more important matters. Our goal is to make your experience truly hassle-free.